Bitcoin’s price action over the past year and a half has been quite the rollercoaster, with many investors incurring nearly instant wealth in late-2017, followed by tremendous losses for those who continued to hold their Bitcoin or other crypto investments. Despite this, those who held and are still holding are doing so either because of a fundamental belief in the technology, or at the very least a belief that the markets will eventually surge back to, or above, their previously established all-time-highs. That being said, recent comments from a prominent analyst about the potential Bitcoin’s price has to surge significantly higher will certainly be reassuring for embattled crypto investors who have been discouraged by the recent market conditions. At the time of writing, Bitcoin is trading down over 1% at its current price of $4,015, just a hair above its recently established support level at $4,000. 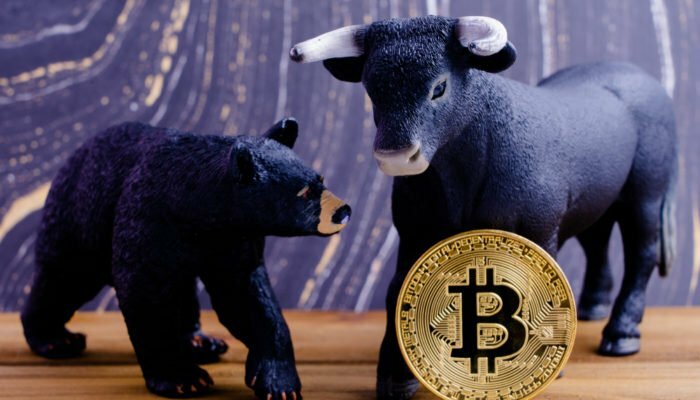 Yesterday, Josh Rager, a popular cryptocurrency trader on Twitter, explained that the lack of buying pressure above $4,000 is likely to lead BTC’s price to $3,500, which may be reached soon if the crypto’s bulls are unable to keep Bitcoin’s price above $4,000. “$BTC Weekly Chart. Gandalf is holding $BTC below the mid $4,200 level. Bitcoin shall not pass the current resistance. So my target for the next drop has an aim at previous support near mid $3,500s,” he explained. Naeem Aslam, the chief markets analyst at Think Markets U.K., recently spoke about the importance of the $4,000 level, noting that it will set the trend for which direction the markets head next. Could Bitcoin Surge to $400,000 Next? Although Bitcoin’s instability around its current price levels does seem to be significant in the short term, in the long term it may be very insignificant, as Aslam believes that BTC could eventually surge as high as $400k. “I personally believe that each Bitcoin can go up as much as $400K and if history repeats itself, this number is not a fool’s paradise. This is a simple math calculation: approximate percentage projection of the price which we experienced during the last bull run,” he bullishly explained. Keeping that in mind, for traders who are waiting to buy the bottom, the risk / reward ratio simply doesn’t make sense. Ryan Selkis, a popular figure within the crypto industry, spoke about the absurdity of trying to purchase a bottom when there is such a massive potential upside for BTC in a recent tweet. “I’d be extremely surprised if the bottom wasn’t in for this $BTC bear market. If you’ve been on the sidelines, what are you waiting for if not now? If you’re a long-term bull, the 5 year EV is 25-50x, and you’re going to wait to time an entry that’s 20% more attractive?” He noted. As the market’s price action continues to unfold, traders and investors should keep in mind the massive potential Bitcoin and the entire markets have to surge significantly higher in the next few years.